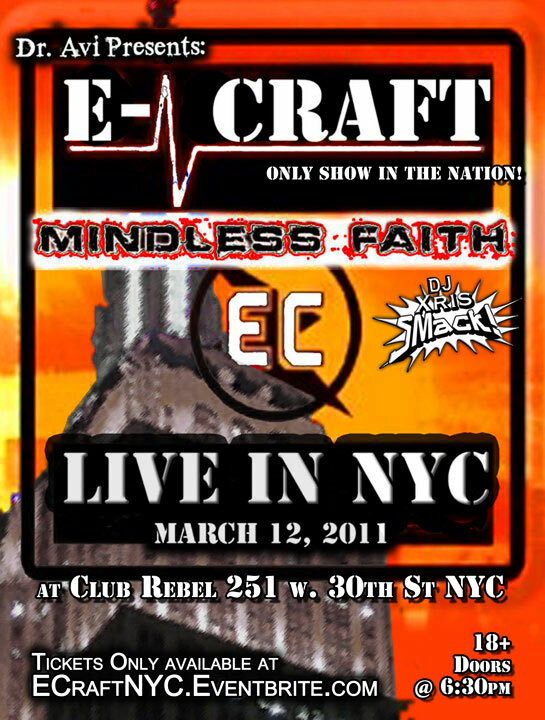 03/12/11 – E-CRAFT + MINDLESS FAITH – Only U.S. Show! E-CRAFT + MINDLESS FAITH - Only U.S. Show! E-CRAFT - ONLY U.S. SHOW!